Pasta is a great inexpensive dinner option and my family always enjoys it! 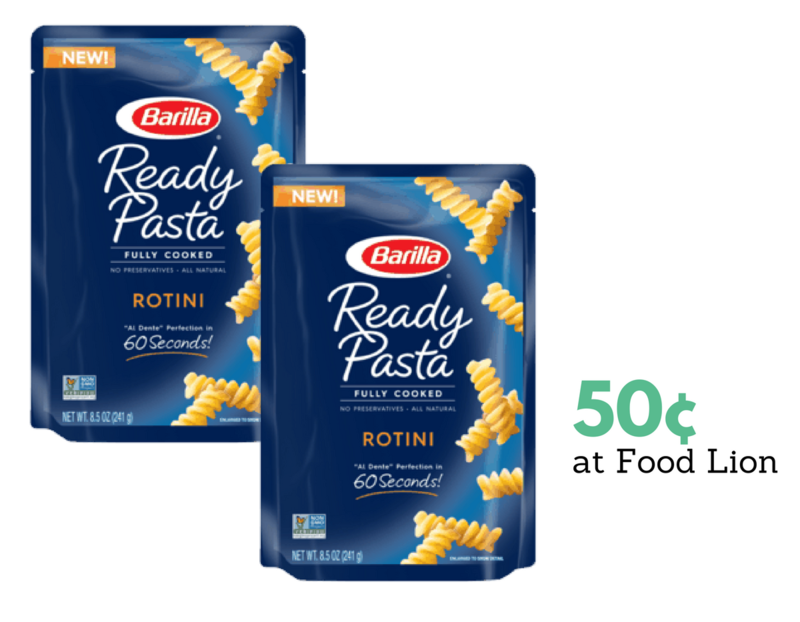 Print a new $1 off Barilla Ready Pasta coupon and get pasta pouches as low as 50¢! The best deal is at Food Lion, but if you don’t have a store nearby you can also head to Target for 69¢ pasta or Walmart for 68¢ Barilla Ready pasta pouches.